The Hotel Colombia building is a building consisting of two floors. It lies at the junction of the Zoutmanstraat and Oranjestraat. 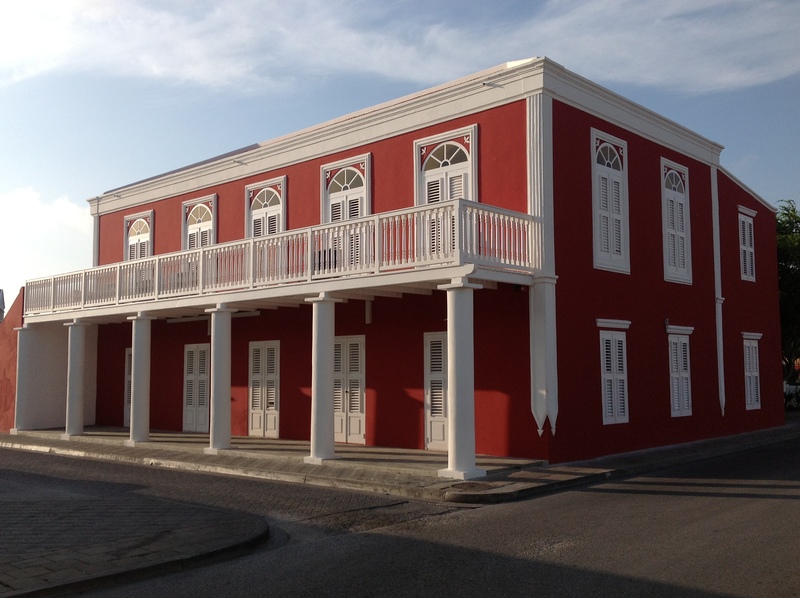 It was built in 1918 and was owned by Nadie Henriquez and was at the time one of the most beautiful buildings in Oranjestad with it’s balconies and pillars. In 1919 began Nadie Henriquez an outdoor cinema. In December 1920 Henriquez exchanged the cinema with Eduard de Veer. Yet in 1922 was in the garden adjoining the outdoor cinema (music theater of Edward de Veer and the building itself was used as the Pension Aruba. In 1925 was this building purchased by Dr. Eloy Arends. Later the building was known as ’Hotel Colombia’, the first commercially Operated hotel in Aruba. 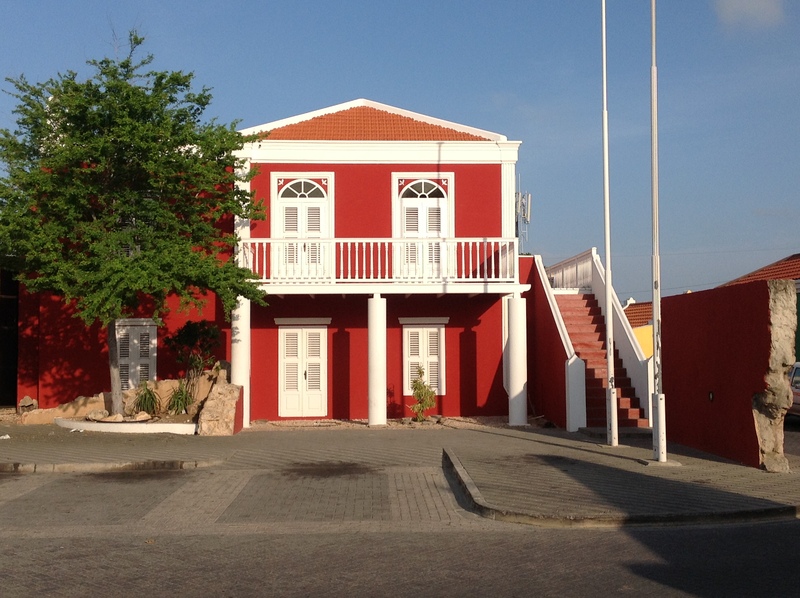 Jesus Maria Eloy Arends, son of Dr. Eloy Arends sold the property in 1986 to the government of Aruba, with the condition that they would restore the building. The condition of the building worsened over the years, and after a fire where parts of the building were irreparably damaged, remained only ruins. In 1997 the restoration began. 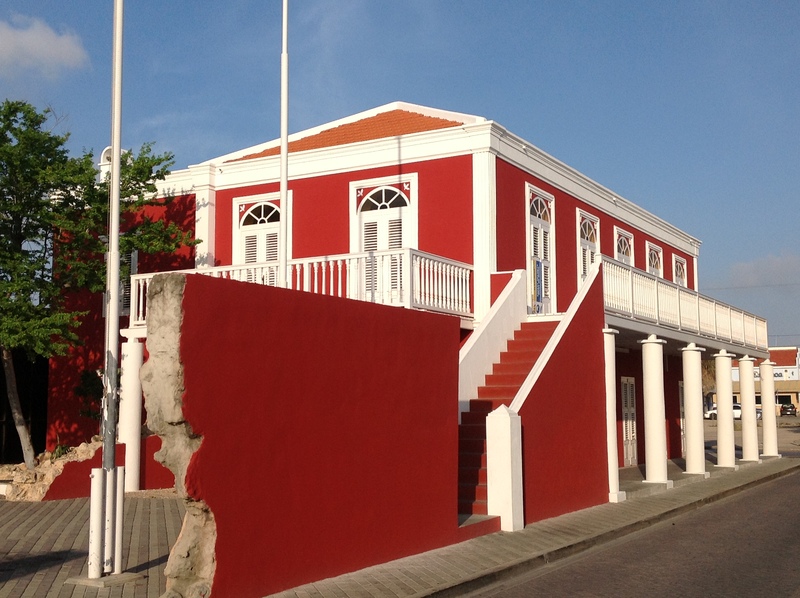 The building was united with the former residence of Dr. Eloy Arends, and they became the new City Hall of Oranjestad. Hotel Colombia currently houses the Population Registry and City Hall. Hotel Colombia ta un edificio cu ta consisti di dos piso. E ta keda na e crusada di Zoutmanstraat y Oranjestraat. Construi na 1918 y tabata pertenece na Nadie Henriquez na su momento e tabata un di e edificionan di mas bunita di Oranjestad cu su balcon y pilarnan. Na 1919 Nadie Henriquez a cuminsa cu un cinemana na aire liber. In december 1920 Henriquez a intercambia e cinema cu Eduardo de Veer. Ainda na 1922 tabata tin e cinema den e jardin di e edificio. E edificio mes tabata ser uza manera Pension Aruba. Na 1925 Dr Eloy Arends a cumora e monumento aki cual despues tabata conoci bou di e nomer Hotel Colombia y cu tabata e prome hotel di Aruba opera comercialmente. Jesus Maria Eloy Arends a bende e propiedad na 1983 cu gobierno di Aruba cu e condicion cu nan lo restaura esaki. Despues di tempo e edificio a a bai atras y despues a pasa den un candela cu a hasi daño irreparable na algun parti di e edificio cu a keda na ruina. Na 1997 a cuminsa cu e restauracion. A uni e edificio na e residencia di Eloy Arends y hasi esakinan e stadhuis y edificio di Censo di Aruba.